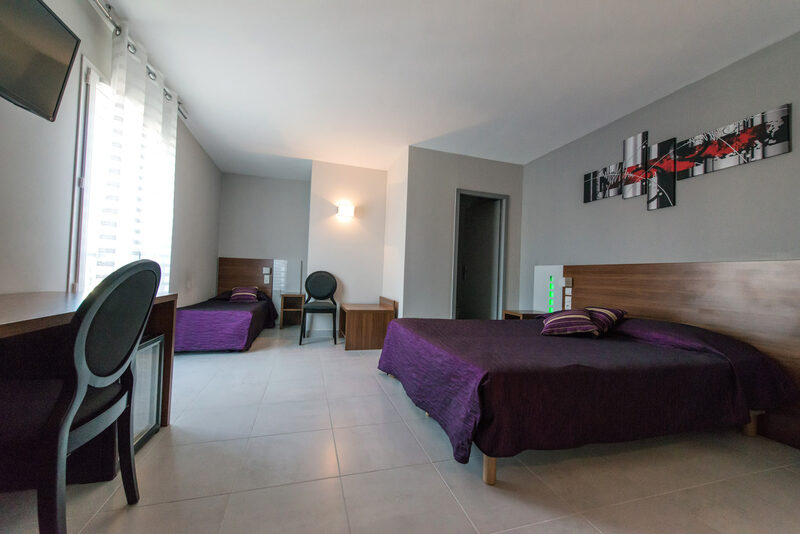 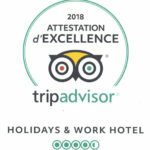 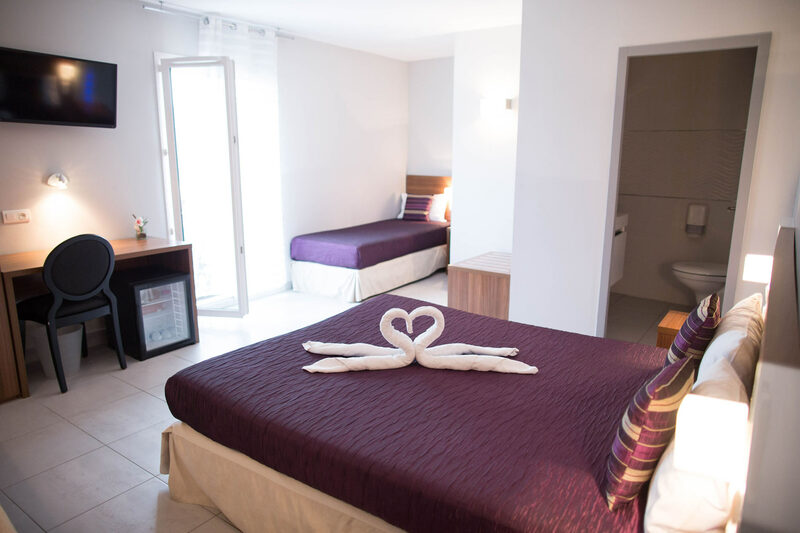 Featuring a surface of ​​24 m2, the Family Quadruple rooms have all the modern comforts of a luxury hotel (TV, desk, wifi …), all the facilities of which are presented below. 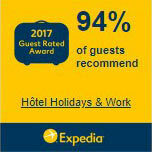 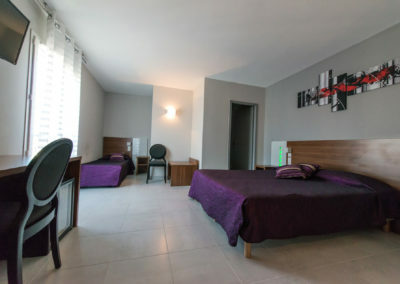 Harmoniously decorated, they accommodate 4 people with a quality queen size bed of 160 x 200 cm and two single beds. 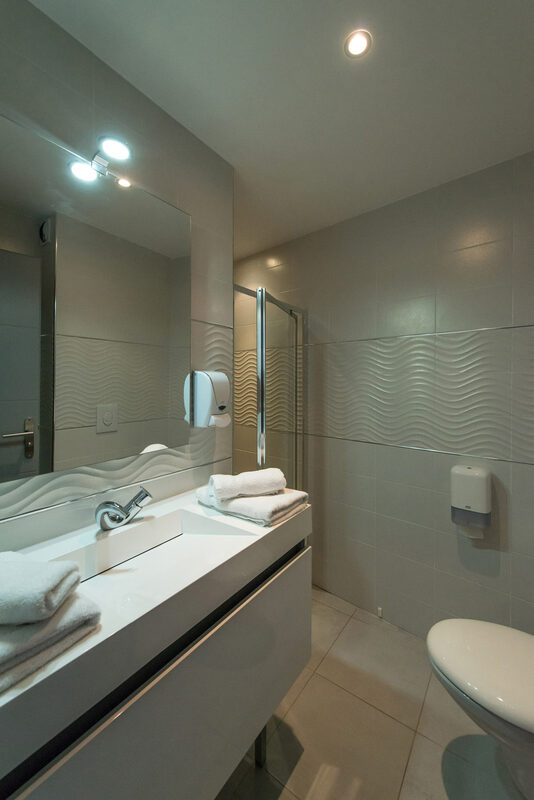 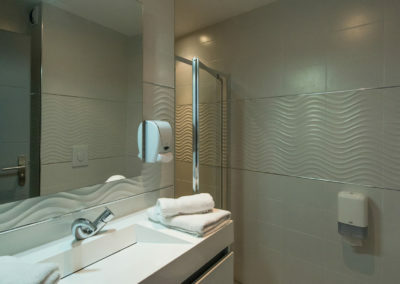 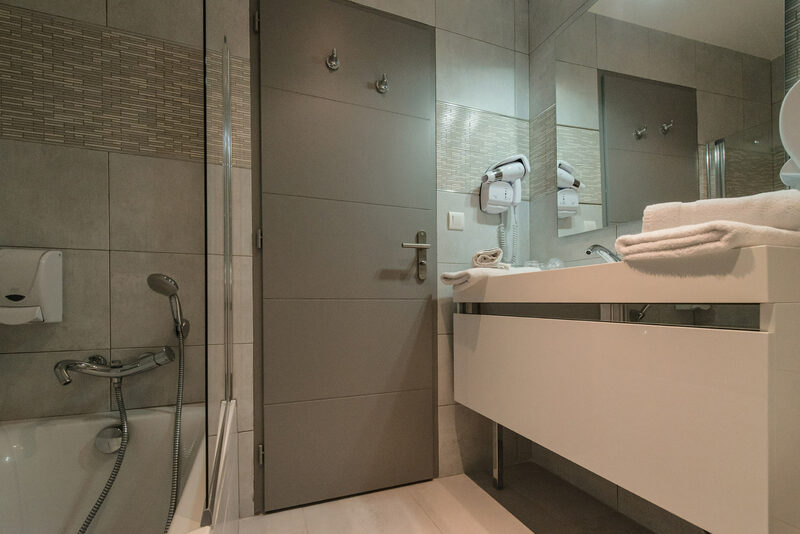 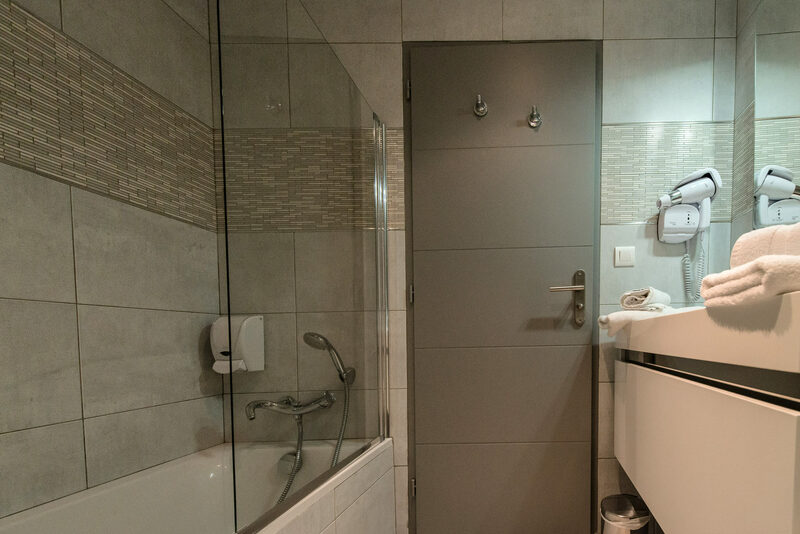 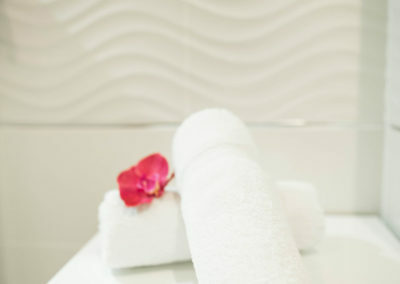 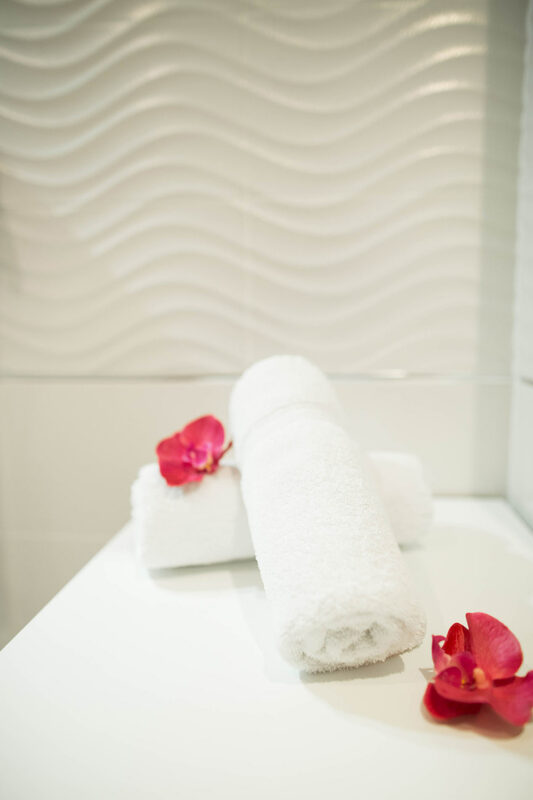 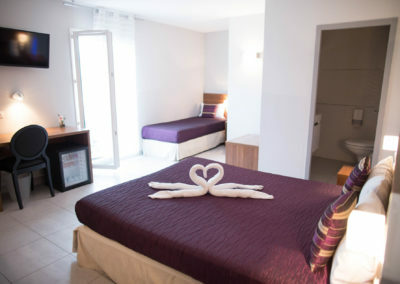 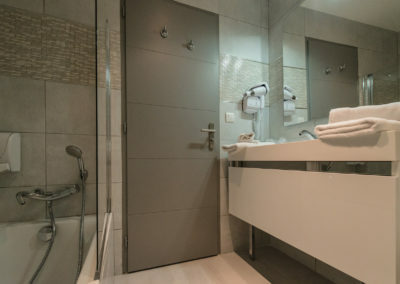 The rooms have a pleasant and functional bathroom with practical options such as a hair dryer and a towel dryer.